Tamara her husband Scott and their two daughters Hannah and Sarah decided to take the olive oil bike tour despite the weather forecast only talked about rain, rain, rain. 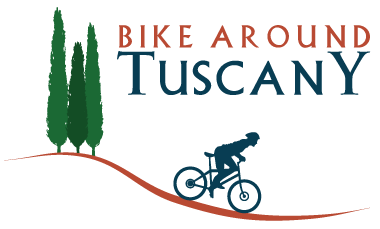 We meet at 9:30 am in Greve in Chianti where 3 ‘magic’ bikes were ready for the ladies, but knowing that Scott is a biker AND a triathlete, I let him choose between an ebike or a MTB. No hesitation there, Scott wants a MTB!!! As soon as it stops raining we’re back on our bikes and pretty soon we get to San Polo in Chianti where Elisa is waiting for us at Pruneti oil mill. We start from the production room where Elisa shows us all the machines and explains to us the whole process to make first quality Olive oil. 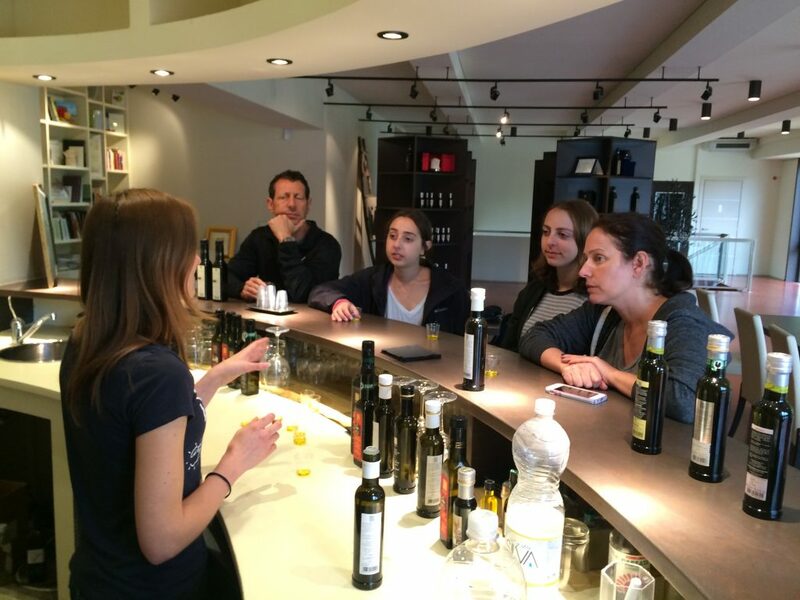 Once we have learned how to make Olive oil it’s time to taste it, and again Elisa tells everybody how to sip a little bit of olive oil from the glass, what to do once it’s in your mouth and what flavors they should be tasting. 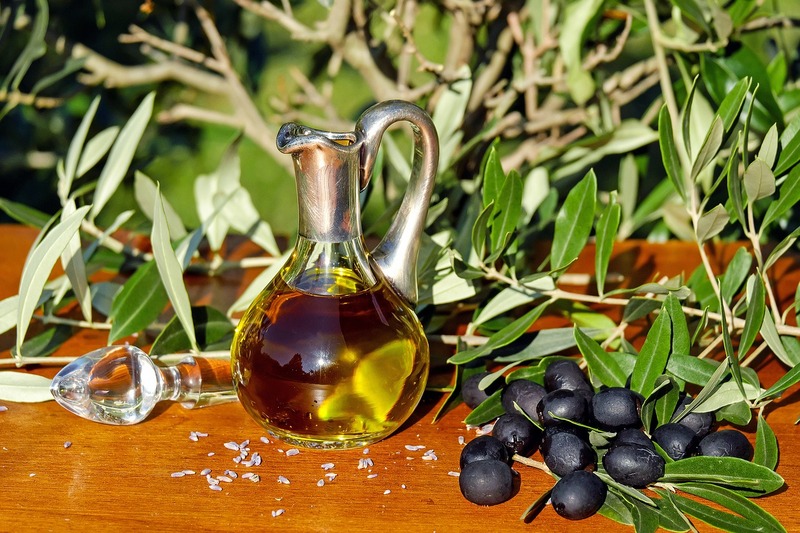 They try four different Olive oils with increasing intensity. We go back to our bikes, and since it’s a little late we decide to stop for lunch in San Polo in Chianti where we have a nice bowl of pasta. We were all pretty hungry!!! It’s time to go back to Greve in Chianti and say goodbye. See you next time, maybe in California! !